PAC Strapping Products brings you 3 solutions to your light- and medium-duty pallet strapping needs. Each unit will deliver consistent tension, superior seal joints, and save labor and seal costs. All of our pallet strapping units come with a robust warranty, complete parts support, and are backed by our own in-house service department. 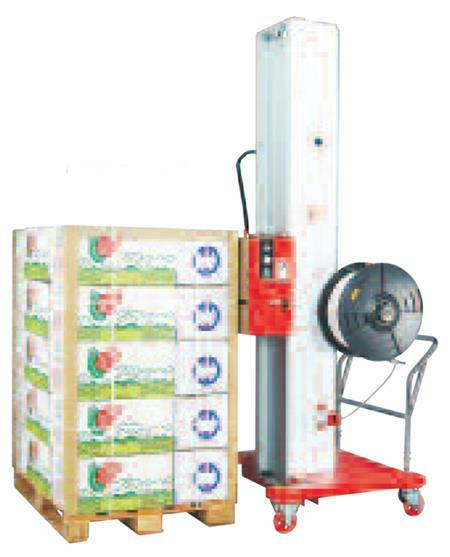 This semi-automatic pallet strapper is ideal for light-duty pallets that need to be strapped vertically. It’s portable so it goes to the pallet. 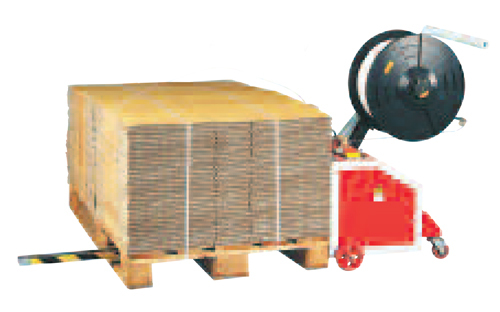 Pallets are strapped with consistent tension with high-efficiency heat seal joints. 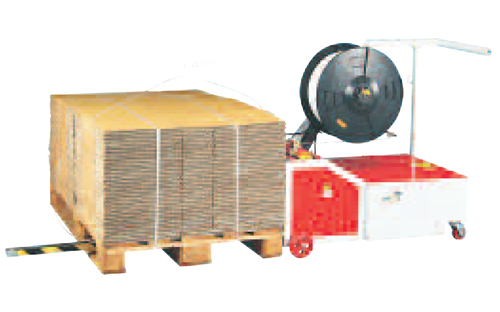 The Pallet PAC MV can strap pallets as low as 12” high. Tension: 33 – 100 lbs. The “B” version of the Pallet PAC MV is similar to the standard model except it is powered by a rechargable 24-volt battery. This unit is designed to apply horizontal straps to light-duty pallets. The strapping head moves vertically, allowing precise placement of multiple straps. Originally designed for the fruit and produce industry, the Pallet PAC MH has a wide range of applications. The Pallet PAC MH is also available with a battery pack.